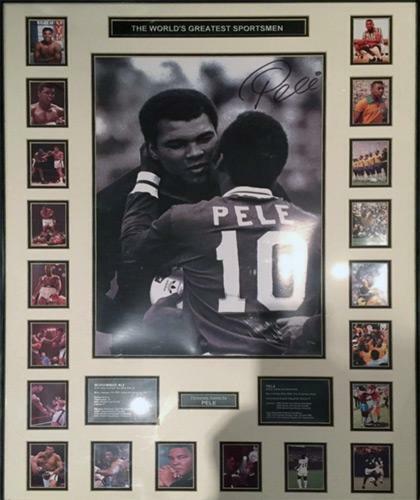 "The World's Greatest Sportsmen" montage featuring a large B&W photo of Muhammad Ali and Pelé signed by the latter. With accompanying colour vignette pics of both sporting legends and biography plaques & a plate of authenticity. Please Contact Us for collection options in Kent. 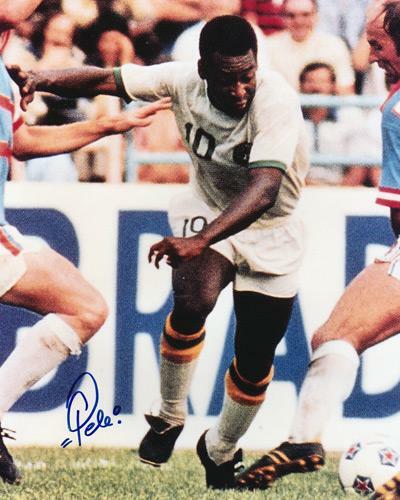 Welcome to the Uniquely Sporting Sports Memorabilia page for Pele football memorabilia and Pele memorabilia, and other soccer related football collectables and signed souvenirs for the Brazilian football legend and New York Cosmos memorabilia.